The "Late Night with Jimmy Fallon Digital Experience" sounds like a horrible house band from an off-the-beaten-path Holiday Inn. To NBC, it sounds like an award-winner. The network says (via The TV Junkie) that the show just scored an Emmy for the late-night show's contribution to the web, taking home the prize for Outstanding Creative Achievement in Interactive Media - Nonfiction. 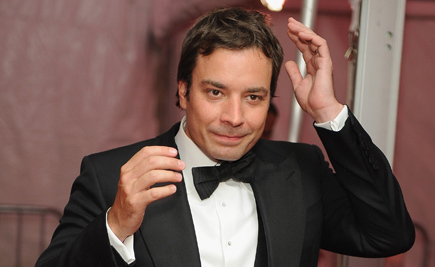 I have no clue who else was nominated in the category, but apparently Jimmy Fallon has a fun website. NBC says they also received nominations for 30 Rock's webisodes, as well as "The Biggest Loser Digital Experience." "All of us at NBC are tremendously proud of Late Night and NBC.com's achievement tonight," said Vivi Zigler, president of NBCU Digital Entertainment. "Our peers have once again recognized the work produced by this partnership that creatively bridges the gap between on-air and online. Congratulations to all those who made this possible."